Are you ready for the next big thing in beer? 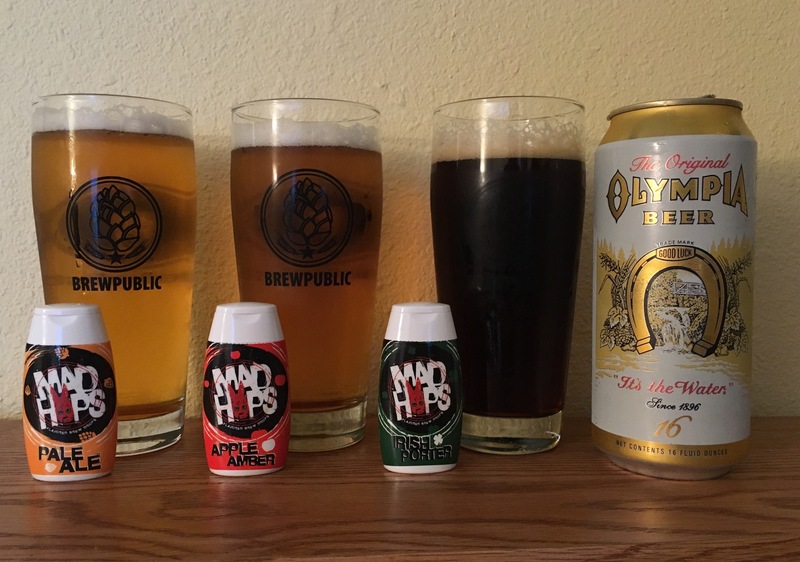 This is how what led that initial email sent to us from Peter Hanley, founder of Mad Hops Flavored Brew Drops, for his then upcoming crowdsourcing launch on Kickstarter. Being skeptics of many various beer related Kickstarter projects we asked for samples of this soon to be “Next Big Thing” and took the time to sample out the flavors. 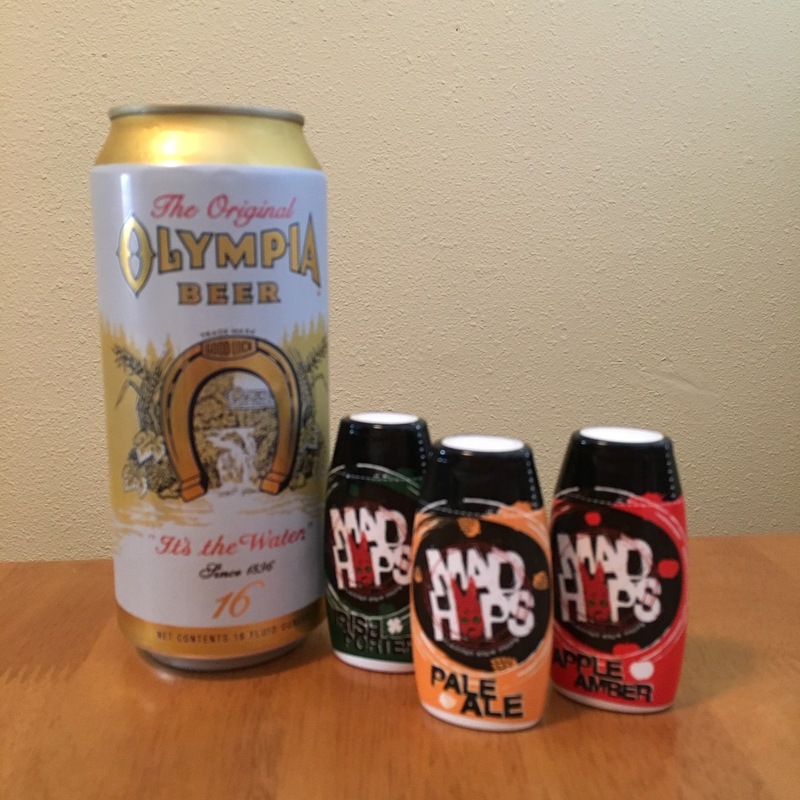 Targeting a millennial generation and college students, Mad Hops is a line of beer flavored drops that are added to a regular, everyday industrial lagers such as Pabst or in our trial, once regional Olympia Beer. 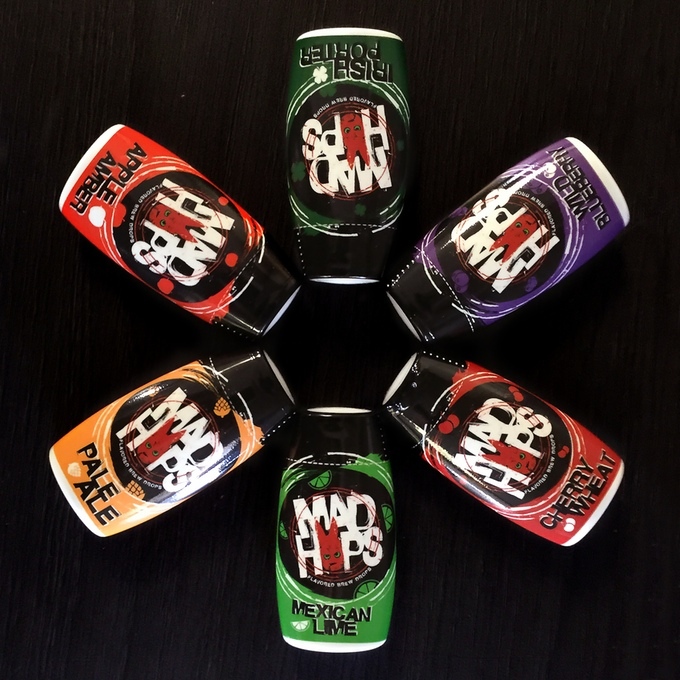 Different from other beer additives, Mad Hops actually contains hops along with other flavors to assist in the transformation of a budget priced beer to a more robust offering. These flavors include Pale Ale, Apple Amber, Irish Porter, Mexican Lime, Cherry Wheat, and Wild Blueberry. One thing that sets this launch apart from others in the beers accessory category is that Hanley actually operates a hop field. “I still have the hopyard, 4 varieties (Centennial, Cascade, Willamette and Mt Hood). I have plans to expand to 5 acres if the demands of Mad Hops ever lets up. I have a hops broker outside of Rochester where I deliver my wet hops and he takes it from there,” stated Hanley in our interview. Now after over two years of product development, flavor profiling, and taste-testing Hanley has launched a test run of Mad Hops in the six previously mentions flavors. The packaging that Mad Hops arrived in is quite professional looking and market ready worthy. This attention to detail was well thought out that would hopefully prove for a successful Kickstarter campaign. Mad Hops Pale Ale, Apple Amber, and Irish Porter mixed with Olympia Beer. So what do the various flavors of Mad Hops taste like? We were up for the challenge and sampled the three flavors that Hanley provided us; Pale Ale, Apple Amber, and Irish Porter. When it came to decide which industrial lager to add these Mad Hops flavors to was a few tall boy cans of Olympia Beer, “It’s the Water” that makes this beer oh so special. The first flavor sampled was the Pale Ale that is described as a flavor similar to Sierra Nevada Pale Ale. Once added to the can pour of Oly into a glass, this flavor improved the hop characteristics of the beer. In all, the flavor ended up becoming a slightly hopped industrial lager. Where this flavor would have greater promise is for adding to your luggage while vacationing south of the American border where it could help in flavoring some Mexican lagers. Moving on to the Apple Amber, said to be in line with Redd’s Apple Ale, this flavor was the least appealing. Granted this reviewer is outside the targeted group but the resulting taste of an apple flavored Jolly Rancher proved a bit too much. There was definitely a lot of apple in the aroma but the Olympia unaltered is preferred. The final flavored sampled was Irish Porter. This one turned the straw colored Olympia to a dark brown appearance and offered up strong notes of chocolate and coffee. It almost reminded of a beer mixed with an iced coffee concentrate. The altered beer was palatable and ended up being the second least offensive flavoring. Now on to the Kickstarter for Mad Hops Flavored Brew Drops, there are only a few days remaining and funded at about 23%. So what happens if the Kickstarter campaign does not go as planned? “We are considering several other fund raising opportunities including strategic investor partnerships should we fall short on Kickstarter,” states Hanley. Are Mad Hops available in Australia ?